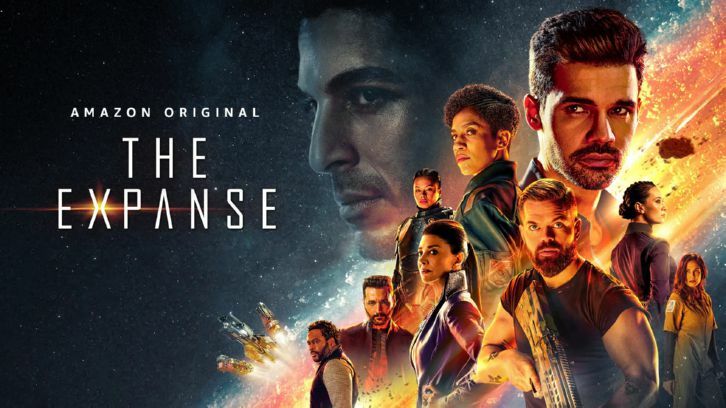 Part of what has made The Expanse so excellent is its consistent pacing and fully-realized storytelling. The show is a slow burn, but in the most positive way, as characters and the story are given time to be fleshed out. When events boil over and conflict ensues, it feels earned and the results are often explosive. The finale was probably the first instance where the proceedings felt rushed. Last week's episode left the story at a point where all the characters are diverging into one ship, the Behemoth. With so many dynamic personalities sharing one space, things were sure to get interesting, but the conflicts and resolutions that formed on the Behemoth in these final two episodes just didn't feel fully realized. Take Melba, for instance. It was nice to see her redeem herself, but all it took was one overheard conversation and some forgiveness from Anna for her to turn a new leaf and realize Holden is not a bad guy after all? It would have been nice to see her interact more with Holden, or for Holden to do something for her that made her realize his altruistic ways. It would have been much more impactful to see Melba gradually turn good, then just all of a sudden in the span of four or five scenes. Another instance was the catalyst of the main conflict, Asher. I like how they changed his character around for the show. In the book, Abaddon's Gate, Asher was a straight up evil man, no redeeming qualities whatsoever. In this Syfy adaptation, he is a decent and reasonable human being with some radical tendencies. The finale though suddenly forced him into the role of the antagonist, one who would not listen to reason, despite showing that he was a reasonable man throughout this back half of the season. Not only that, but Asher was not much of a foil in the finale. Despite humanity and the lives of those on the Behemoth being at stake with his decision, the final moments did not feel suspenseful at all because of the lack of him and the few cronies he had as a threat. The book was a lot more suspenseful, let me tell you that. I am also not a big fan of how Bobbie was treated, as well. I was hoping to see at least one interaction between her and Alex, both of them had a very sweet moment talking to each other over comms in episode 7. But in the finale, all that Bobbie was resorted to was going around telling people she trusts Holden, and then one action scene where we are reminded how badass she is and that she does bleed. But hey! In the book, Bobbie wasn't even present, so I guess beggars can't be choosers, right? All this criticism is not meant to take away from the finale though, as there was a ton to like. Chief among them was the interaction between Amos and Anna. The interplay between the two contrasting characters was simply magical. Anna and Amos are two people who, as Anna states, get what needs to get done, done. However, one is a healer and the other is a killer. 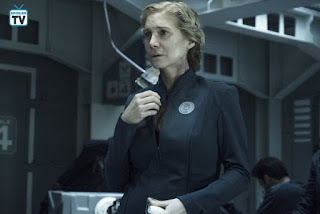 Over the course of the finale, we see Anna being the mother that Amos probably never had, teaching him about being human and morality. Amos' reaction as he stares at her with his wide eyes, soaking in her human-ness, was simply heartfelt. His line to her, "I will never let anyone hurt you," was another one of many moment's Amos had this season. Actor Wes Chatham has been spot on in making Amos so tough, but yet so vulnerable at the same time. Though many parts of 'Congregation' and 'Abaddon's Gate' felt less like a finale than, say, the epic episode 6, 'Immolation,' the sum of it all really amounted to a riveting closure. All of the gates opening with Holden declaring this moment as a new frontier for humanity really brought The Expanse to a whole other level - the moment book readers have been waiting for. The mystery of whatever happened to the civilization that created the protomolecule also amps one's anticipation for what is ahead. Overall, though the double episode finale was an emotional journey, thanks in large part to Amos and Anna, it did not even come close to the sheer excitement of the end of Book 2 back in episode 6, 'Immolation.' Nevertheless, the epic closing moments leading us to the next stage of The Expanse made the ride worth it.